Whether your pets prefer to communicate with a bark or meow, we welcome your animal companions with open arms at North Park at Eagle's Landing. 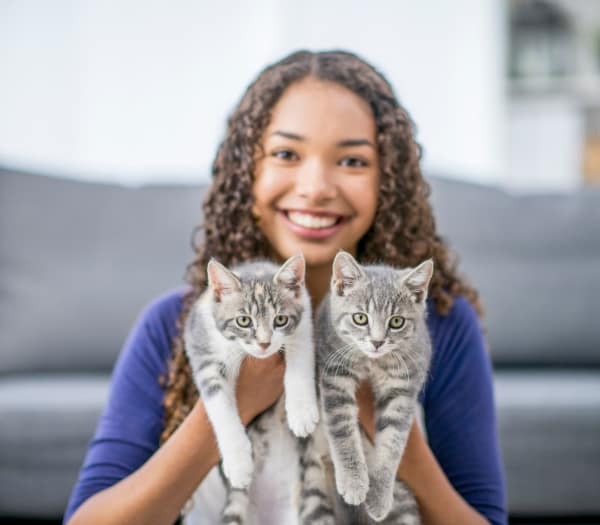 We proudly offer pet-friendly apartments in Stockbridge, GA, so you can soak up the snuggles from your furry companions from the comfort and privacy of your own home. Our location in a natural, wooded setting makes for the ideal after-work walk with your favorite pup. Your kitties will love the natural light flowing in through the windows in your spacious apartment home. 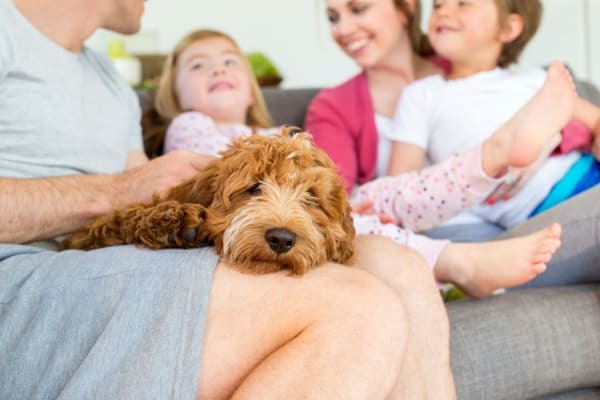 Read our pet policy and then contact us with any additional questions you may have about bringing your pet to live with you at North Park at Eagle's Landing. North Park at Eagle's Landing allows two pets per apartment for a fee of $300 for one pet and $450 for two. All pets must be spayed or neutered before you move in. We look forward to welcoming you and your animal companion home to our pet-friendly apartments in Stockbridge, GA. Get in touch today to schedule your personal tour.